Congratulations to the January Detox group who have now completed the 4 week elimination diet. After the excesses of December we set the group the challenge to remove all sugars, grains, legumes, dairy, starches, soy, alcohol and caffeine. This meant that essentially they were existing on meat, fish, eggs, vegetables and fruit. Most of the group stuck to the guidelines to the letter for the full 4 weeks, some people modified the plan slightly, 1 or 2 had a weekend break from the restrictions and then went back on to the full programme and 2 people didn’t manage to finish and dropped out before the end. We stressed to the group from the outset that this wasn’t a weight/body fat loss challenge and the objective was to improve well being and health markers. But as a by-product of removing some known inflammatory and empty calorie foods we did expect to see a general weight and fat reduction and size reduction, particularly around the waist. It’s important to clarify that although it is possible to exist on a diet like this we only ever intended to implement it for 4 weeks. For most people the diet is too restrictive and is unsustainable. The 28 day period allowed the body to recover and reset before the controlled reintroduction of some of the food and drink that had been eliminated. We advised the group to only introduce one new food every other meal so that they were able to assess the effects of the food in terms of how it made them feel (e.g. nauseous, bloated, gripey, tired, emotional, no effect). They were asked to keep a record of the reintroduction process. Part of the purpose of the slow controlled reintroduction was to help identify any strong symptoms that might indicate a sensitivity or allergy to a particular food which may be a cause of inflammation and taxing the immune system. The group consistently reported several observations. Improved sleep quality and quantity was high up the list for many. It was generally assumed that this was due to the removal of caffeine from the system which will definitely have played a key part. In addition, blood sugar regulation will have allowed the body to re-associate itself with circadian rhythm, meaning that the body is alert at the right time of day and becomes sleepy in the evening as intended. With blood sugar under control, cortisol is less likely to cause havoc and melatonin (the sleep hormone) will kick in and do its job. Increased energy and alertness was also reported, after the initial slump of the first few days, as the body gets used to life without fast carbs and caffeine! This is an important mindset change as typically people associate carbohydrates with increased energy but what this showed was that you can feel energised and function at a high level without the need for carbs to fuel performance. This demonstrated how the fuelling system’s of the group had started to adapt to the conditions placed upon it and were now more efficient at burning fat for fuel – obvious reasons why this is good! 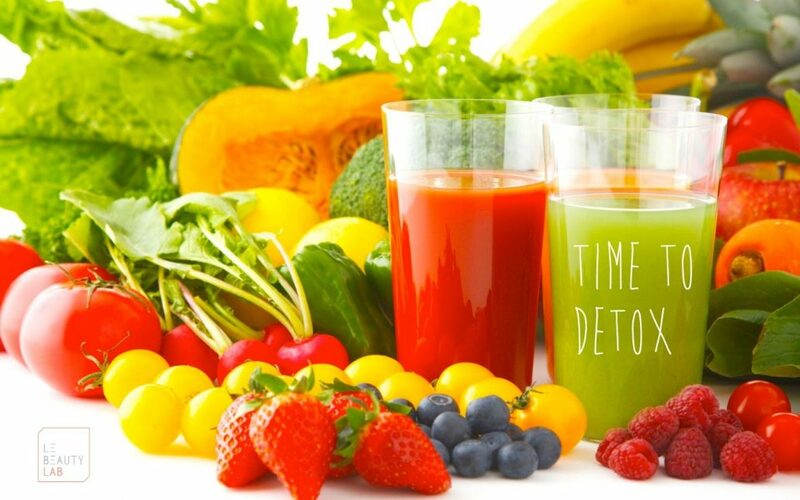 Some of the positive effects of the detox process have been so profound that some individuals have stated that they have made permanent changes to their diet. Most people over the next few weeks will slowly return to something like their previous eating and drinking habits but that doesn’t mean the process has been in vain as each person now will be much more conscious of what they put in their mouth and we hope it will have a big impact on ‘mindless eating’. This means that they will be eating less wasted calories and more nutritional dense foods and they will be more tuned into how what we put in our mouths effects the way we perform. This should at least see them through until the next Detox on the 17th June!!!! The objective is to remove the primary food and drink that can cause inflammation, and let the body recover – we call this a reset. After these foods have been removed from the diet for 28 days we will slowly reintroduce them and monitor any side effects/ symptoms from their consumption. If there are negative symptoms then it is possible that the individual has a sensitivity to the this food and it is better avoided in the immediate future. Our aim is to help our clients lower the level of inflammation in the body as we know that chronic levels of inflammation are heavily linked to serious metabolic disorders such as diabetes and a wide range of coronary conditions. So things are on the up. The body has started to regulate as the adrenal system no longer craves hits of sugar or caffeine to provide energy boosts. Now that they are utilising the fat stores in their body more efficiently they are no longer getting hungry between feeds like they did prior to starting the programme. This helps with concentration, mental clarity and decision making and you don’t spend half your day thinking about food! 12 days to go…..keep it up Detox Crew!